Tracy posted that her favorite Outlander dish is BANNOCKS...and that she tops them with butter and homegrown honey. Um, can we say YUM?!? Tracy - please email your mailing address to carol@myoutlanderpurgatory.com! THANKS TO ALL who participated in the contest!! 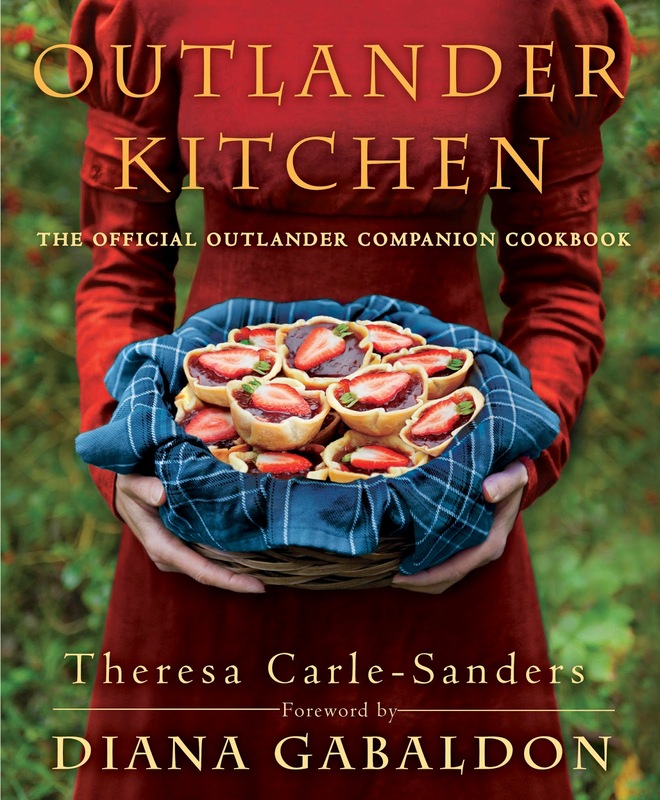 I LOVE all your favorite dishes/recipes and can't WAIT to have some fun in the kitchen with them...AND with Theresa Carle-Sanders' new Outlander Kitchen cookbook! *Tracy's name was chosen using the Random Name Picker at miniwebtool.com. 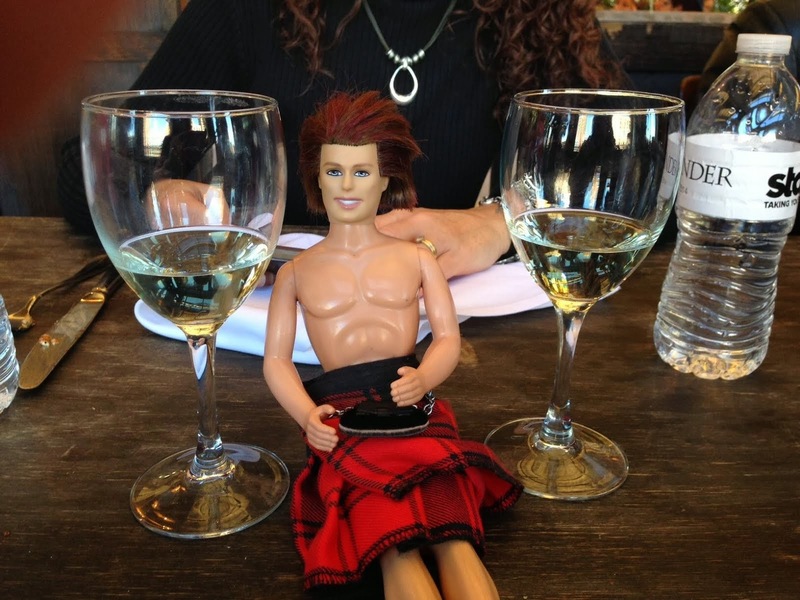 Don't Jump the Shark, Screw the Pooch: Diana Gabaldon Explained! This is a FASCINATING read from Herself, Diana Gabaldon, regarding her use of the term "jump the shark" in reference to Leghair's annoying return to the Outlander series on Starz in episode 8. I said "This is a woman who has a zillion degrees! She's not sitting home watching television on a nightly basis! She didn't really mean "jump the shark!" OK sassenachs, by now I'm sure you've heard of Outlander Kitchen, a fantastic website run by Theresa Carle-Sanders. Theresa is a chef and food writer who has been creating delicacies mentioned by Diana Gabaldon in the Outlander series for years. And if that wasn't cool enough, she has now put all of them in print, for us to create and enjoy! Outlander Kitchen: The official Outlander Companion Cookbook is the latest creation in the Outlander Kitchen world, and will be available on June 14th! 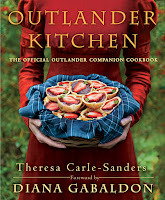 Theresa has been kind enough to pass along a copy of her cookbook for one of you lucky Outlander fans to win! To enter, just post your name, and the name of your favorite dish/food from the Outlander series into the comments below (your own recipe optional but not necessary!) Winner will be chosen at random on Monday, June 20th at 12PM Eastern. 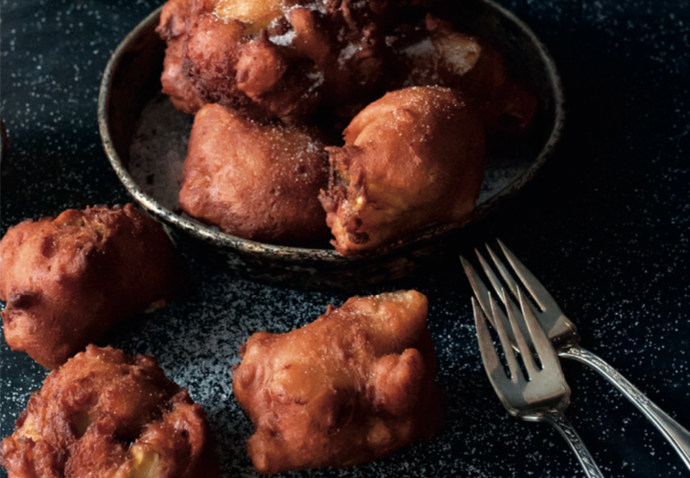 And just to get your juices flowing, here is Theresa's recipe for Apple Fritters! Enjoy! 6/22 UPDATE: I'm so sorry, y'all. Tracey and I had a family emergency this week so I wasn't able to pick a winner on Monday. Our mom, affectionately known to our Outlander buds as PattzR, fell and broke her elbow on Friday night. Last night she underwent a full elbow replacement, and it's been a very rough time for our family. I will be picking the winner tomorrow morning and will announce shortly thereafter. THANK YOU SO MUCH for your patience and understanding!!!!! UPDATE: A winner was announced on 6/23 and this contest is now closed. Thanks for your interest!